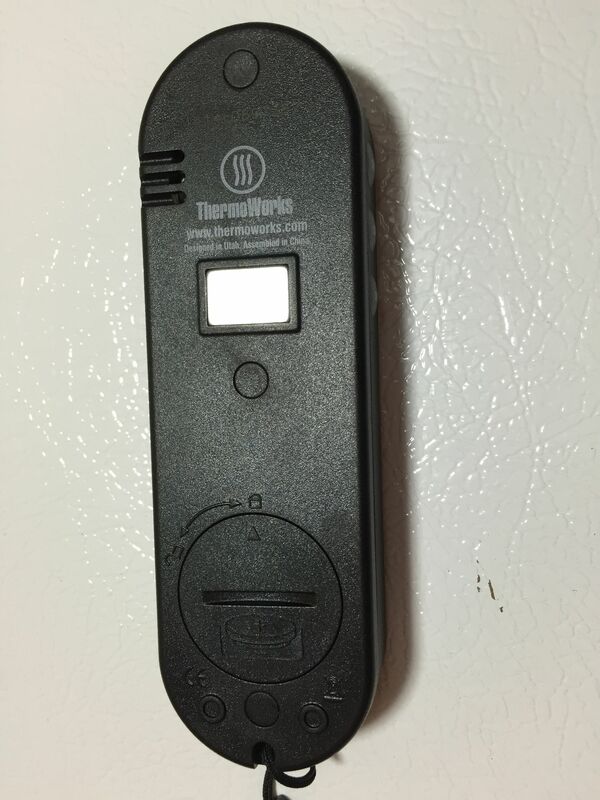 The ThermoWorks TimeStick has been around for quite some time. I’ve owned two and used them extensively. 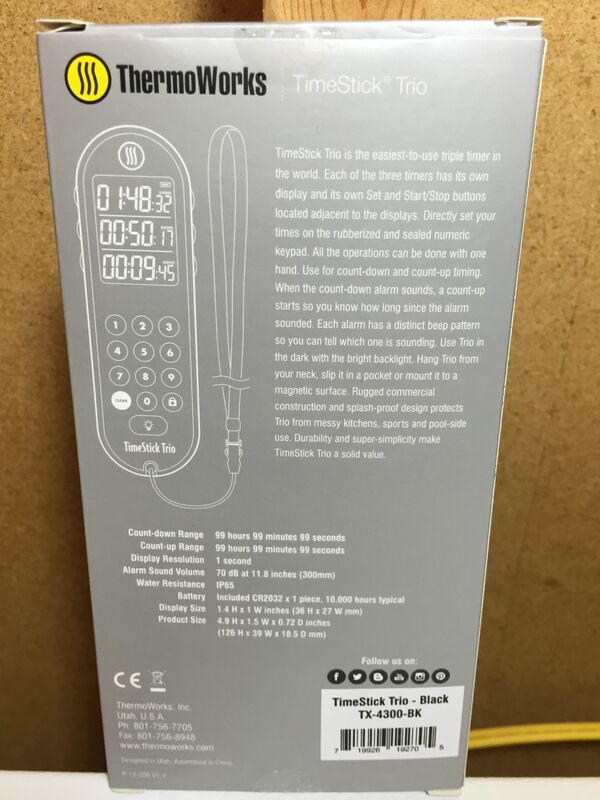 If you’re not familiar with ThermoWorks, they are the makers of the nearly universally lauded Thermapen – Review and along those lines produce quality equipment. 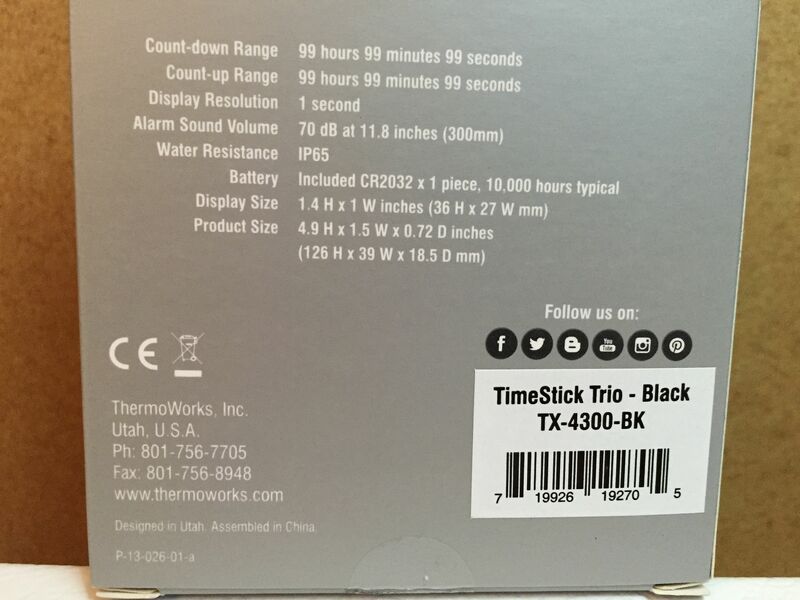 ThermoWorks has released the TimeStick Trio. 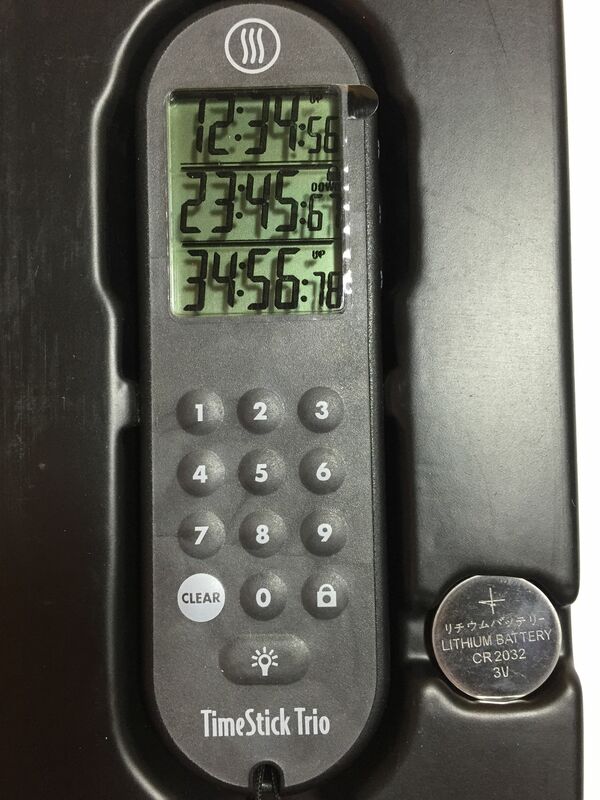 That unit features three independent timers and is available to order as of this posting. ThermoWorks kindly provided me with a pre-release unit and to prove that they are fans of homebrewing they have also lifted the media embargo just for Homebrew Finds. That means you’re hearing it here first. Their official announcement, along with other website’s coverage will come later. 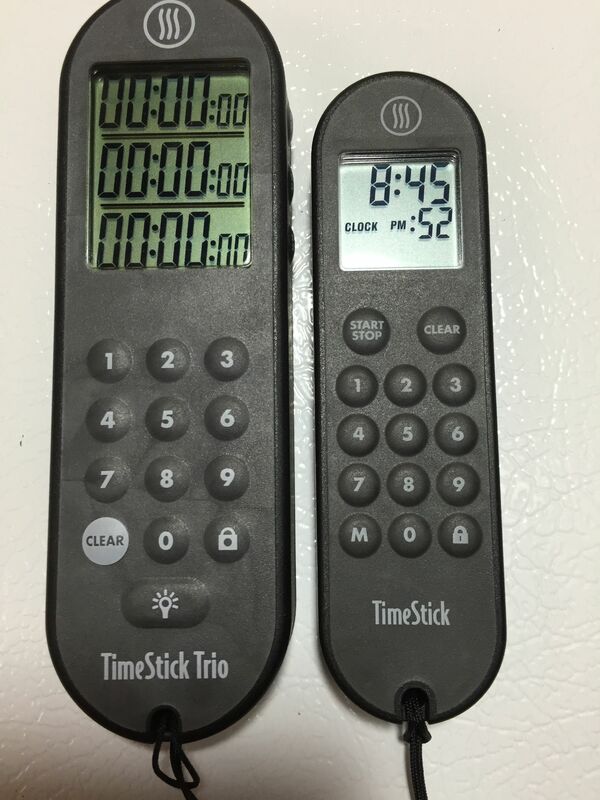 “TimeStick Trio is the easiest-to-use triple timer in the world. 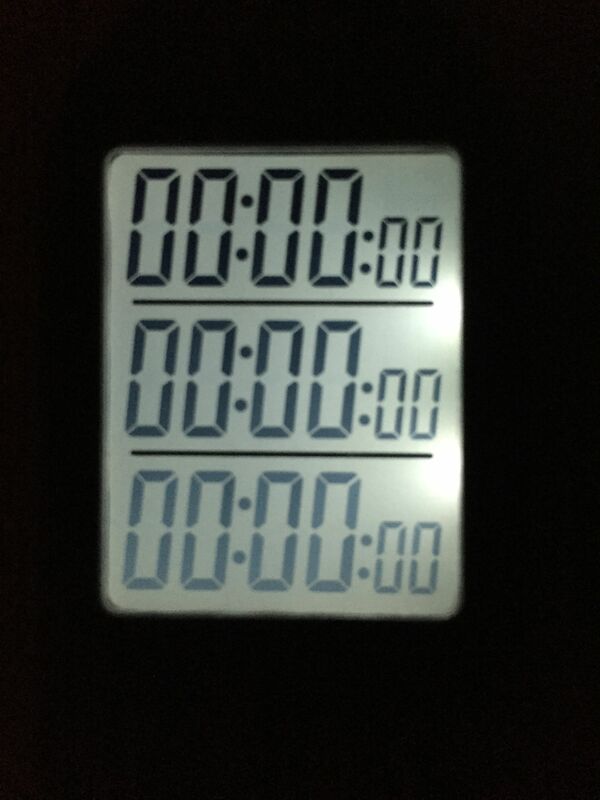 Each of the three timers has its own display with its own Set and Start/Stop buttons. 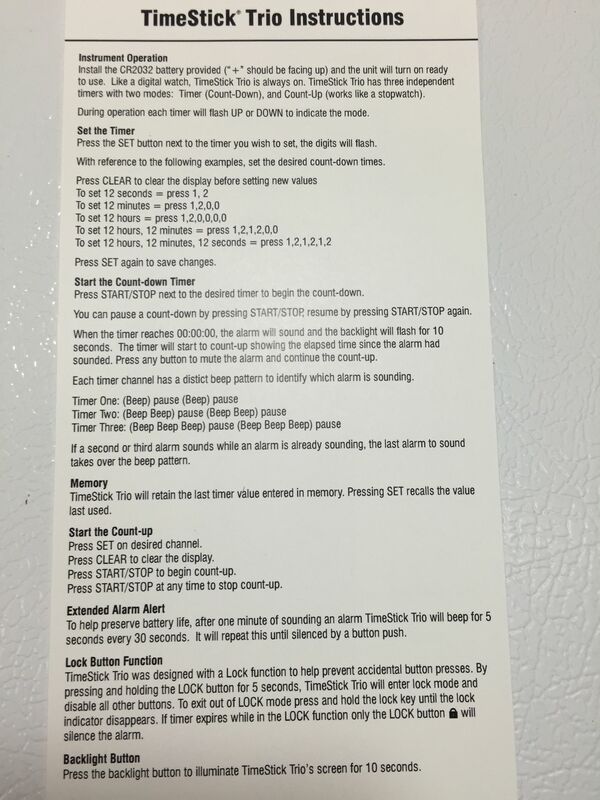 No confusion on how to set a timer, how much time is left, which one is sounding or how to stop any of the three. 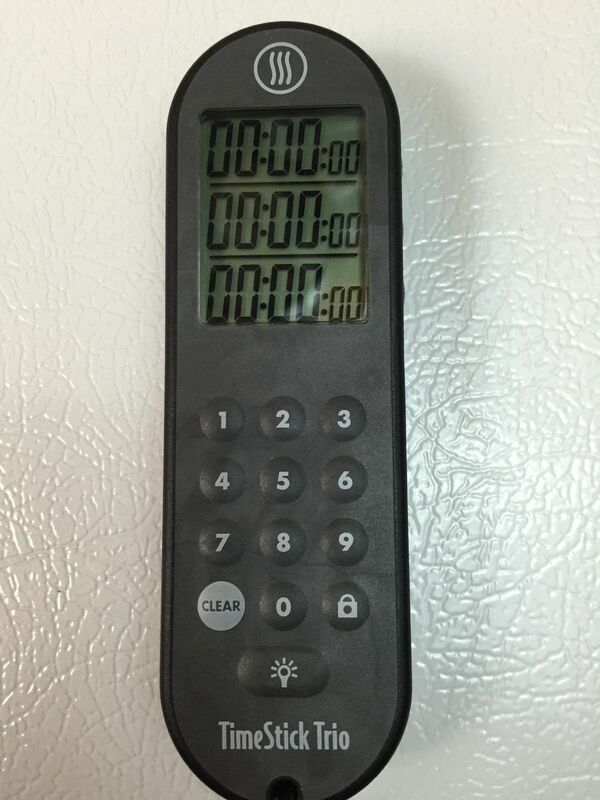 To use as a Count-Up Timer, simply start at 00:00:00 and hit Start. It’s like having three separate stopwatches in one. Unboxed. To the right you can see the included CR2032 Lithium Battery. 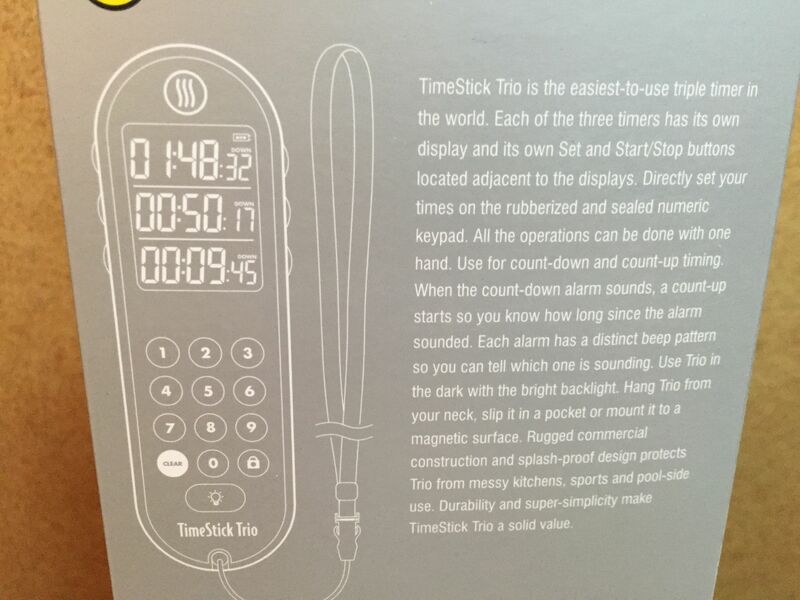 Back of the TimeStick Trio. 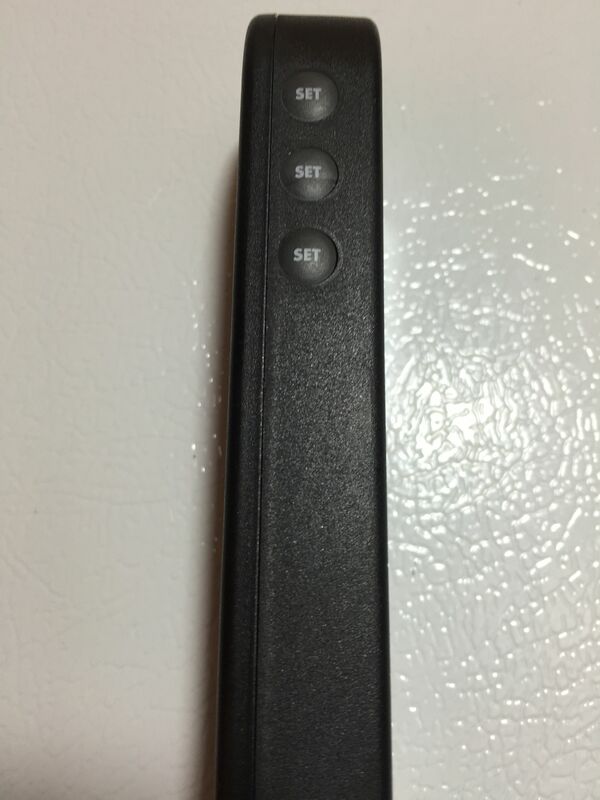 A built in magnet can be seen on the top third along with the battery door to the bottom. The battery door features an oring for water resistance. The TimeStick Trio is splash proof but directions say not to submerge the unit. 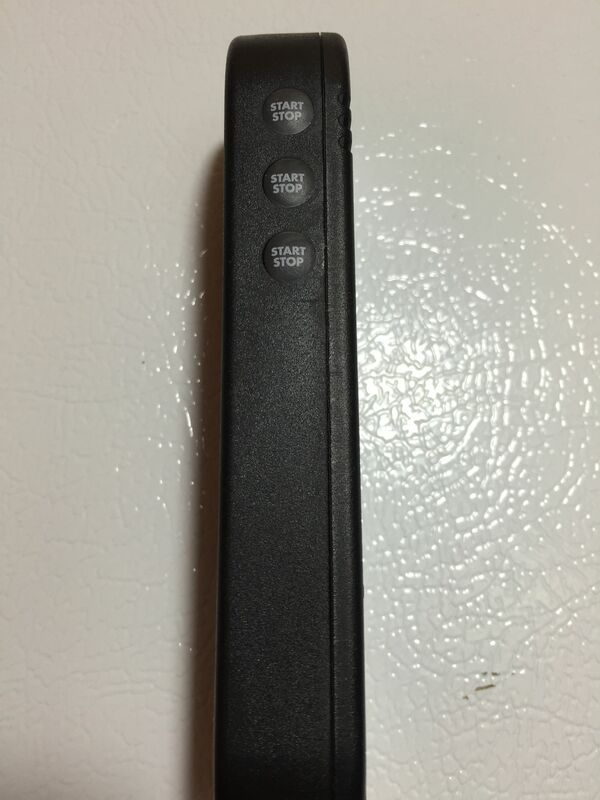 In addition to separate set buttons for each timer, the other side features independent Start/Stop buttons. ThermoWorks set out to make an easy to use three timer device. That’s really one of the areas where this shines. The corresponding buttons make it easy to quickly set, start and stop the three timers individually. Multiple timers going. Note that each timer plays a distinct sound pattern so you can tell what’s what. Timers can be either up or down. 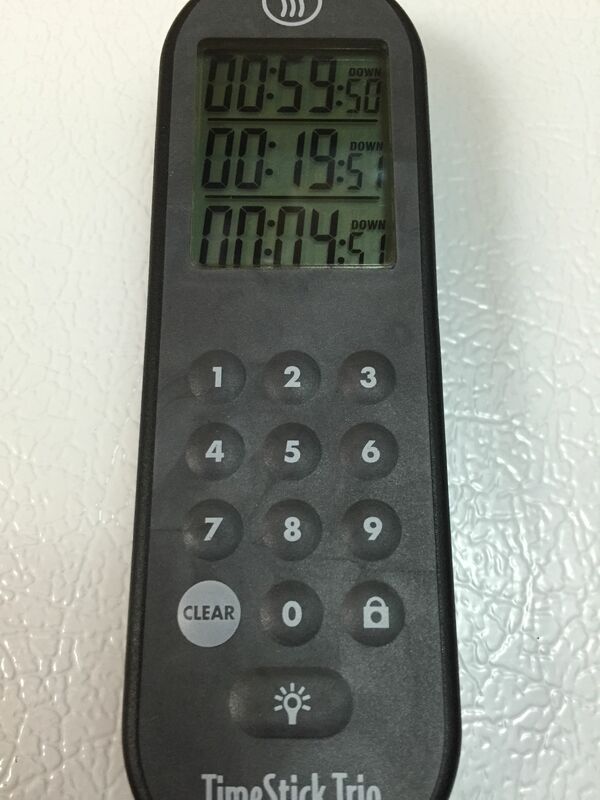 To set a down timer just hit the set button, key in the time on the number pad and hit set. 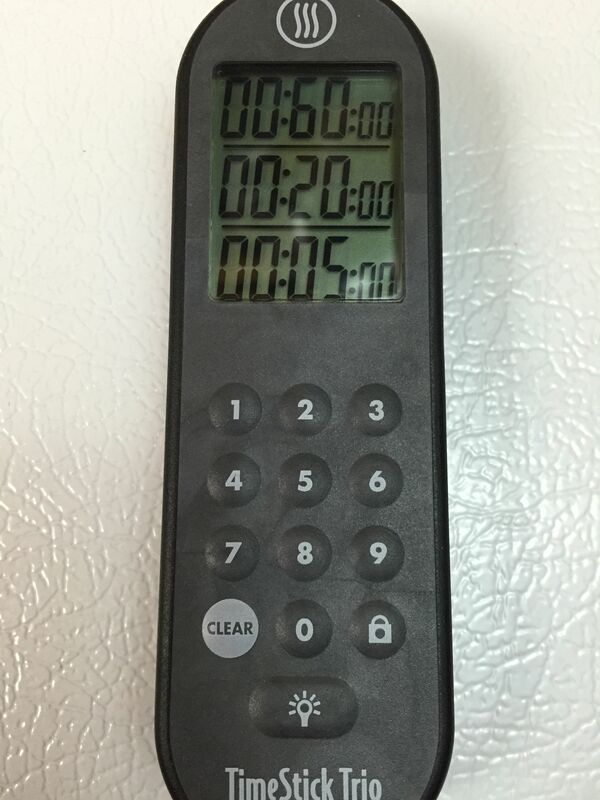 To set an up timer just set the time to zero and hit the start button. You can easily tell if a timer is up or down on the display. 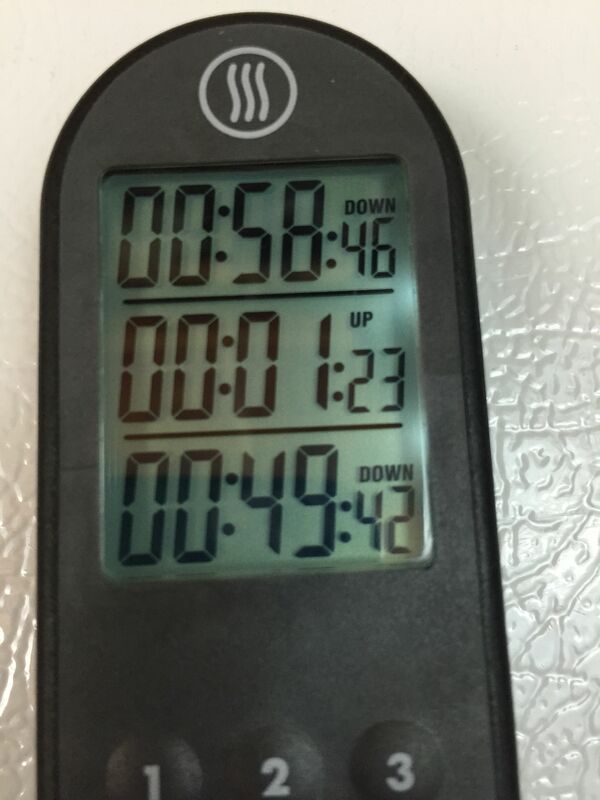 Notice the middle timer in this picture reads up with the top and bottom timers read down. Resetting the timers is also easy. 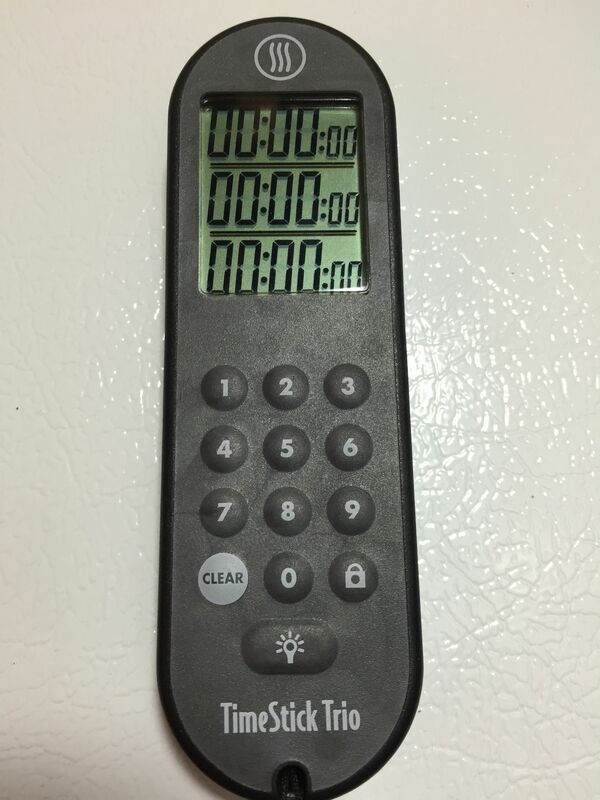 Hitting the set button once resets the corresponding timer to the last set time. Hitting zero, clears the timer. Here are the included instructions. The included magnet makes it handy. Here is the Trio stuck to my fermentation deep freeze. 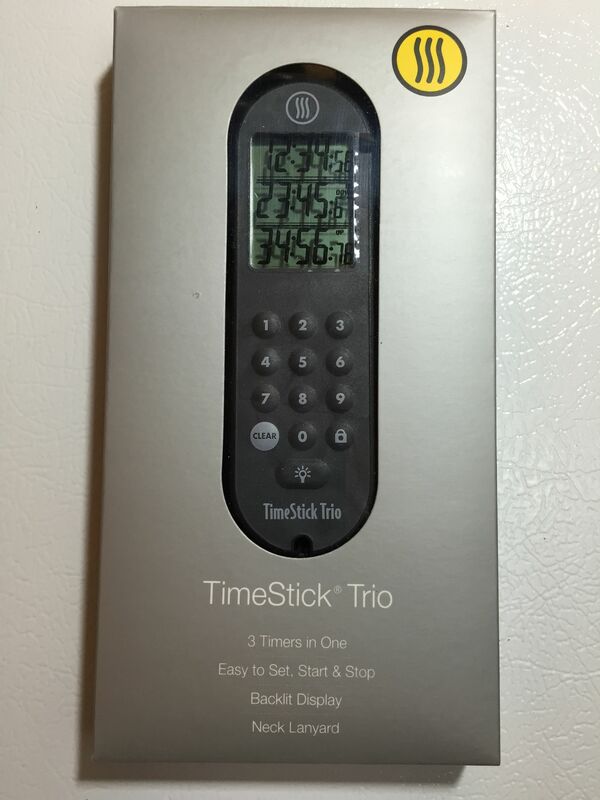 I haven’t had the TimeStick Trio long, but first impressions are that this thing is classic ThermoWorks – well designed and thought out and well built. 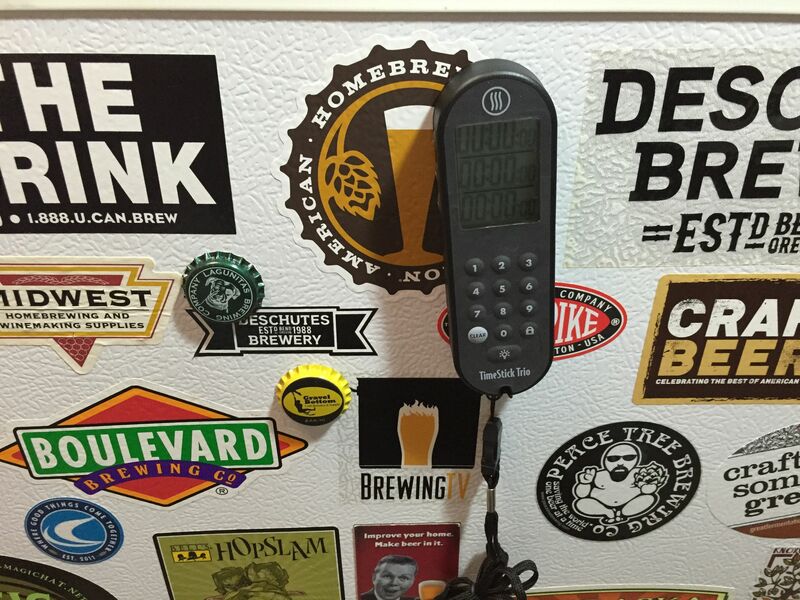 The multiple timers make it a huge win for homebrewers. Thank you to ThermoWorks for providing an evaluation unit and for choosing to make this initial announcement to… homebrewers. Kudos to ThermoWorks. This entry was posted in Featured Reviews, HBF Tested, New Releases, Reader Exclusive, Reviews, Reviews & Top Posts, ThermoWorks, Timers on February 4, 2015 by admin.